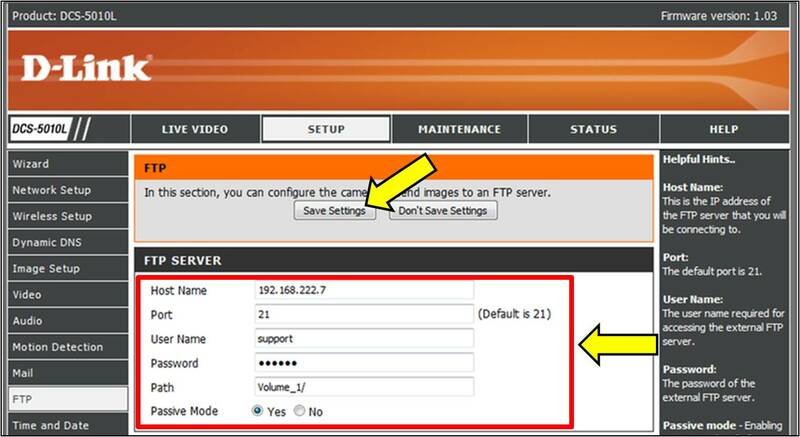 How to I upload files to my FTP server with my camera? 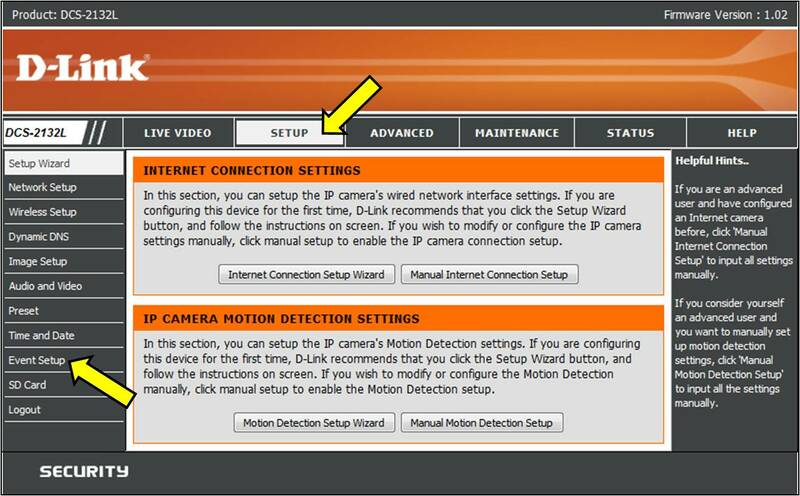 Note: To upload images based on motion, you must first follow the FAQ- How do I enable Motion Detection on my camera? 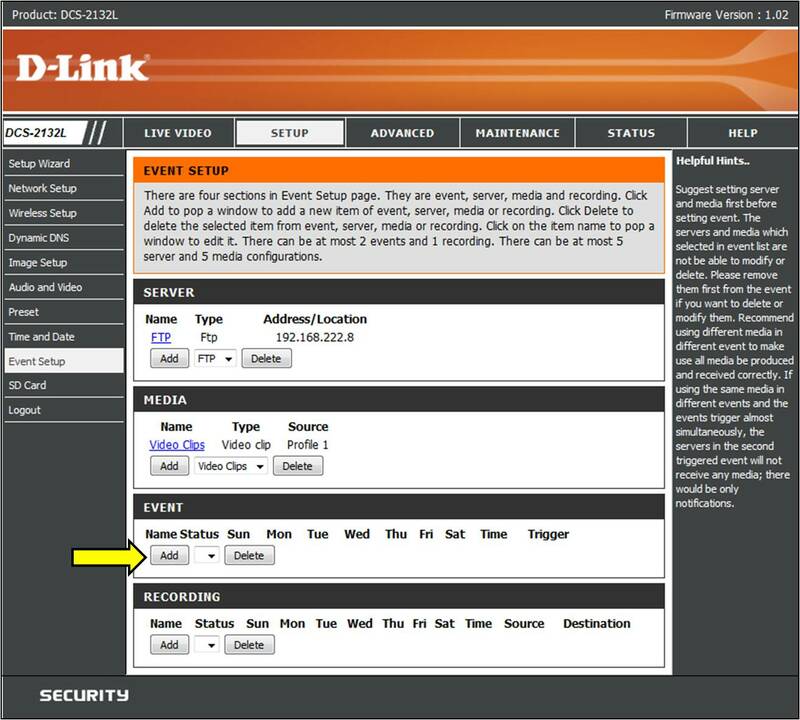 To configure your camera to upload snap shots or video clips to an FTP Server, configuration must be performed within the Web Interface of your mydlink camera. 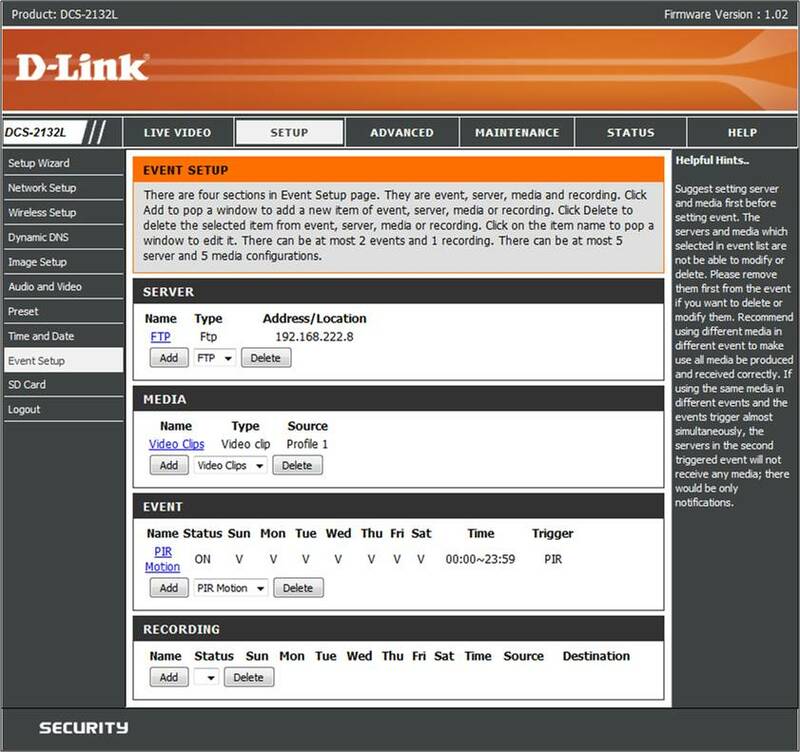 This can be done using the Cameras IP address or using the mydlink web portal. 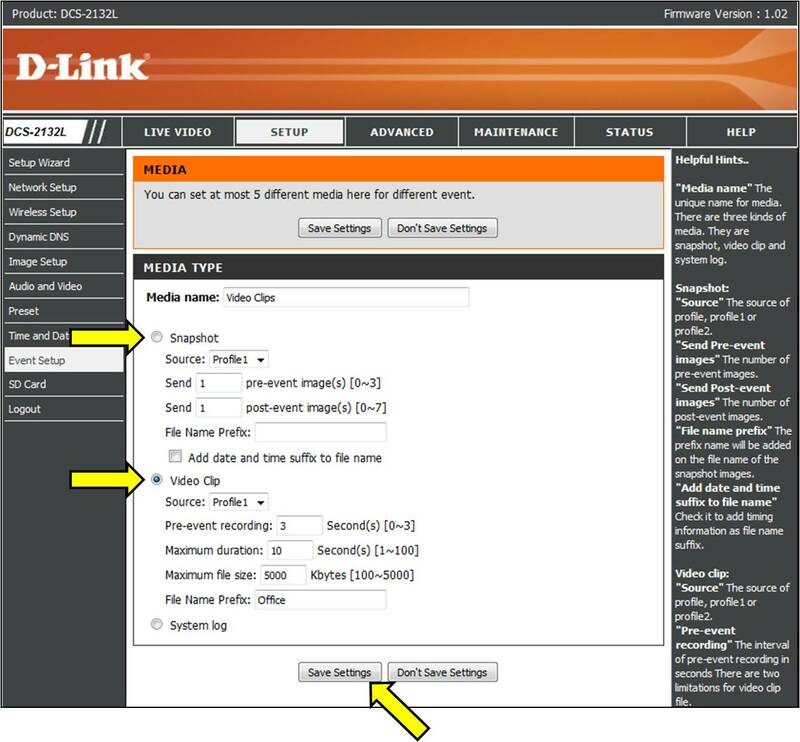 Click- How do I log into my mydlink camera? 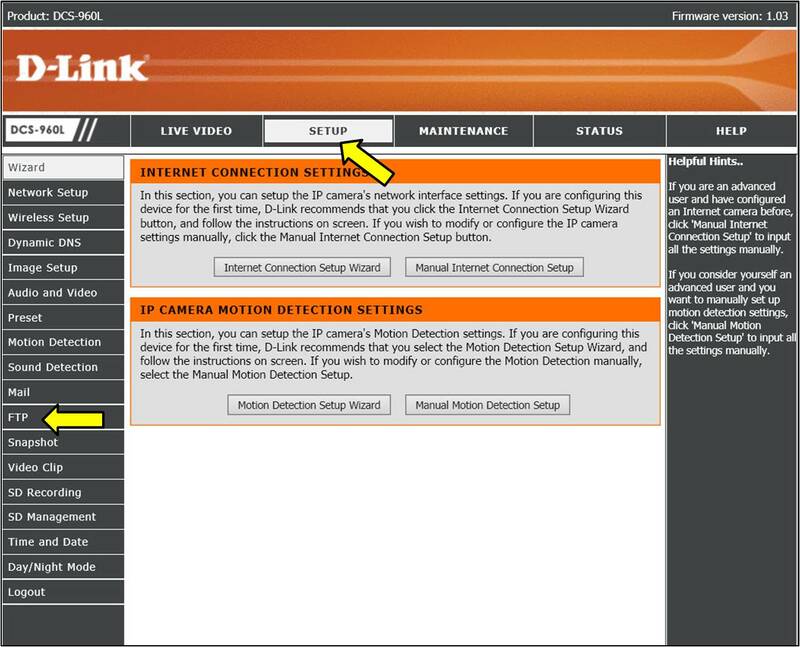 Note: If selecting motion, please ensure motion detection is enabled and configured: How do I enable Motion Detection on my camera? 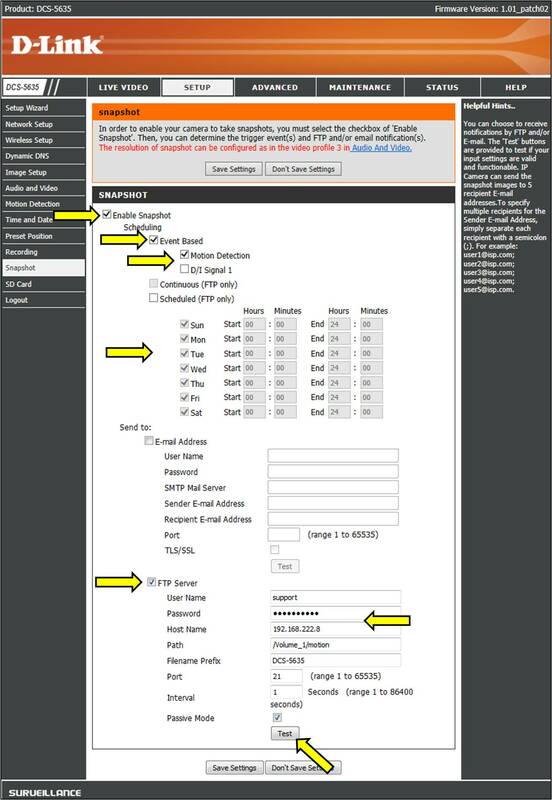 Note: If your FTP server is configured to allow all users, enter the username "anonymous" and leave the password field blank. 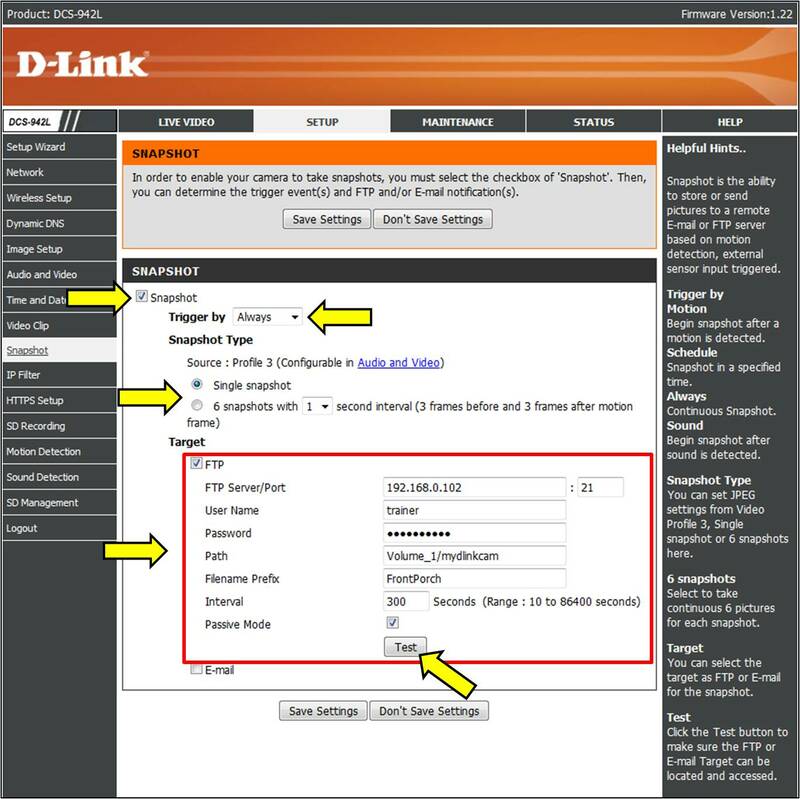 Passive Mode: Check if your FTP server is using/supports Passive Mode. 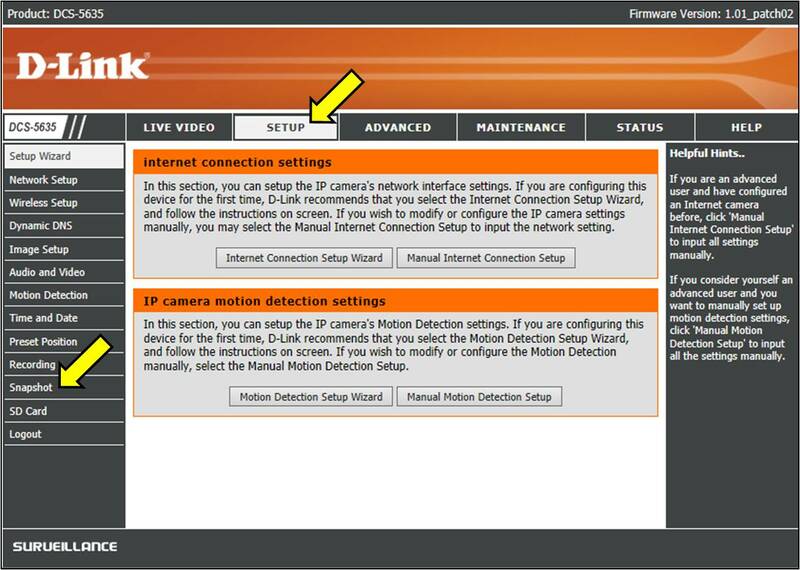 The camera will now upload to the specified FTP Server. 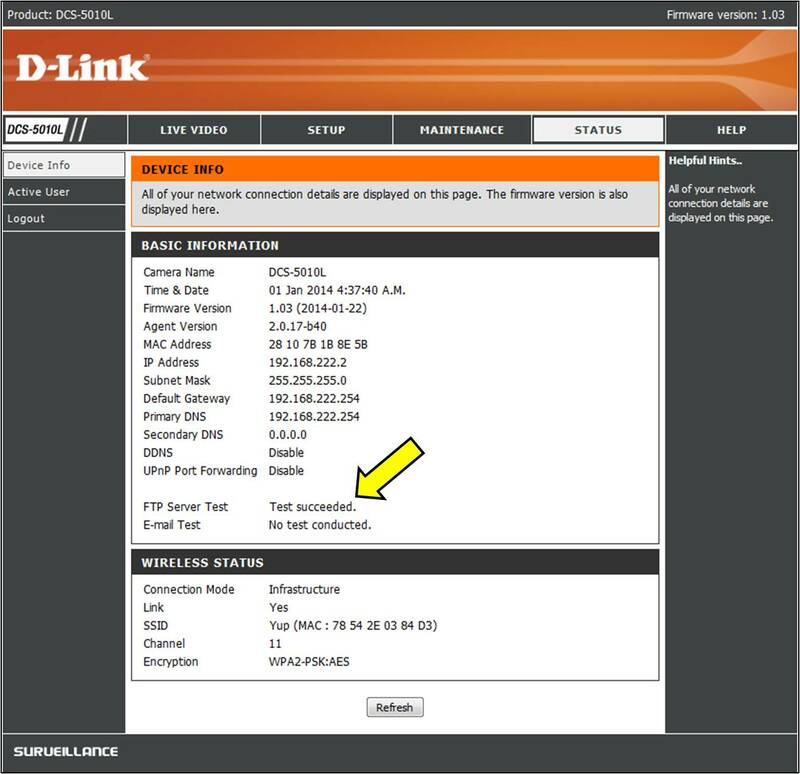 Step 5: Under Basic Information, your FTP Test Status should be visible. Note: You may need to refresh the page if the status is not shown. 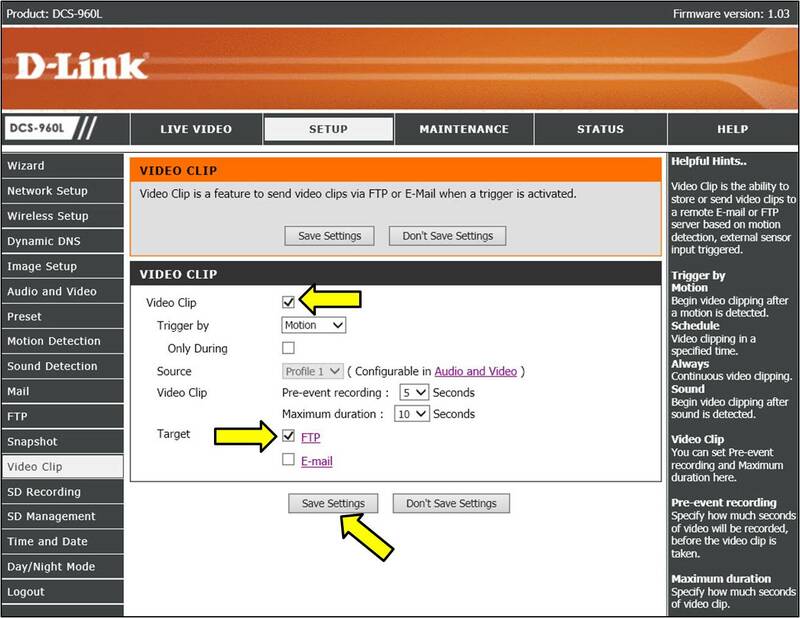 Note: In order to configure your camera to upload to FTP, you must log into the Web Interface of your camera. 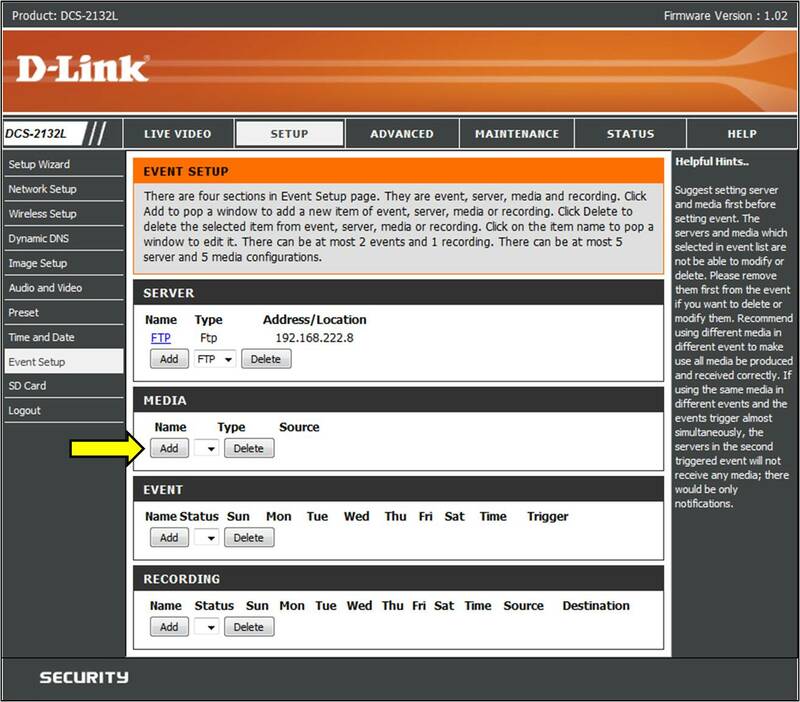 For mydlink enabled cameras click- How do I log into my mydlink camera? For non-mydlink cameras cameras click- How do I log into my camera? 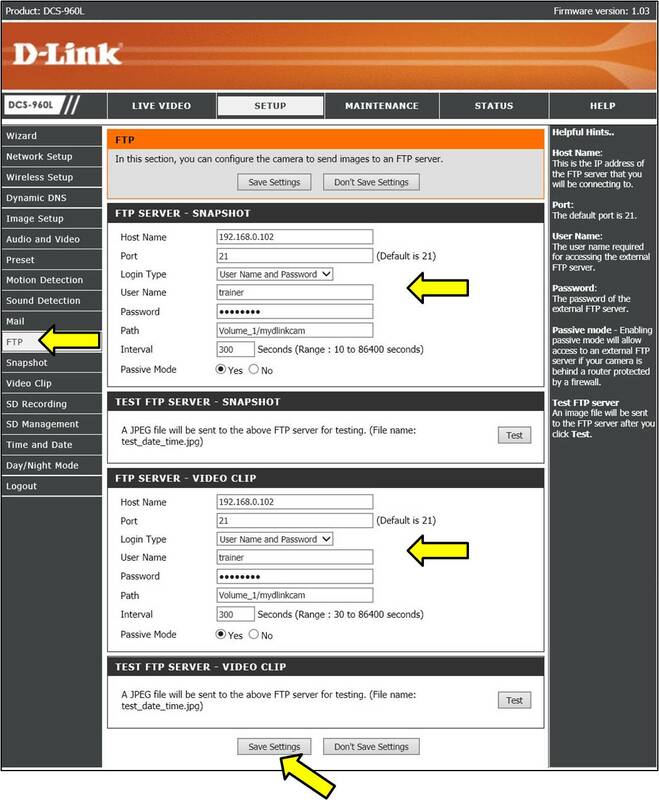 - Remote Folder Name: The directory that the images will be uploaded into (For example, /pub/images). 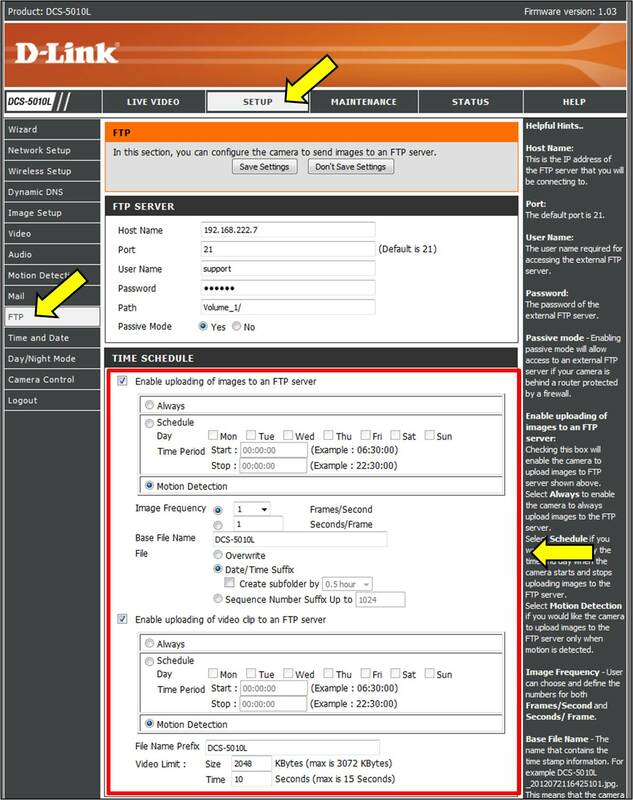 - Passive Mode - Some FTP servers allow clients to use passive mode when connecting to an FTP, which uses random ports for transfers. 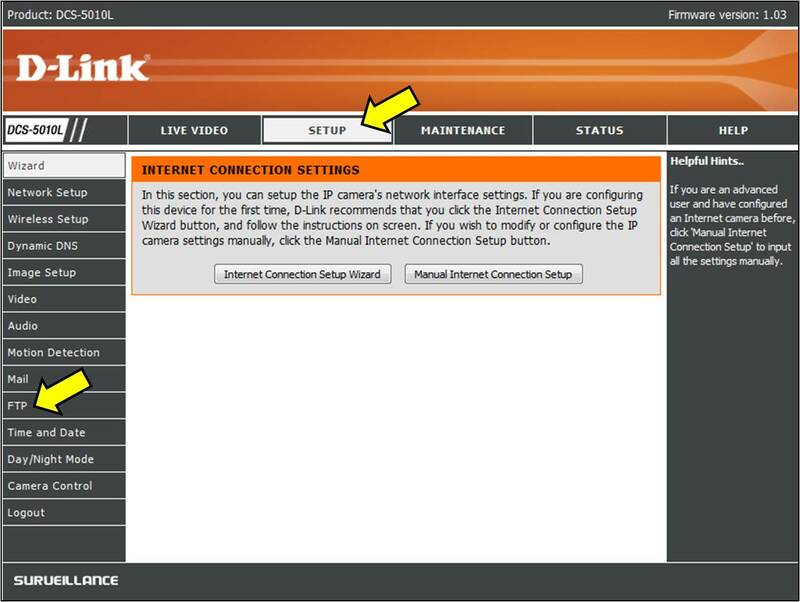 Click Test to confirm your settings are correct. 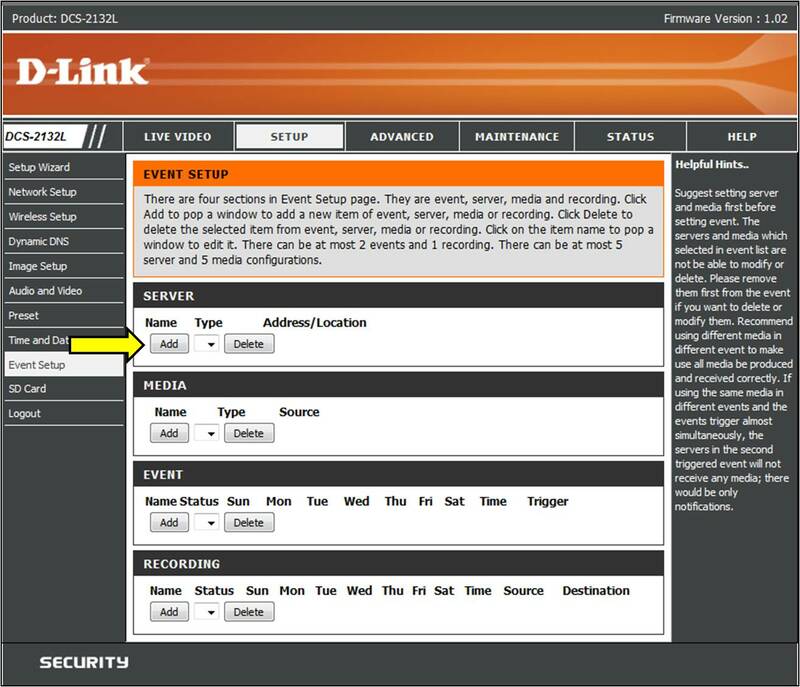 Event: Enter a Name for your event and Check to Enable it. 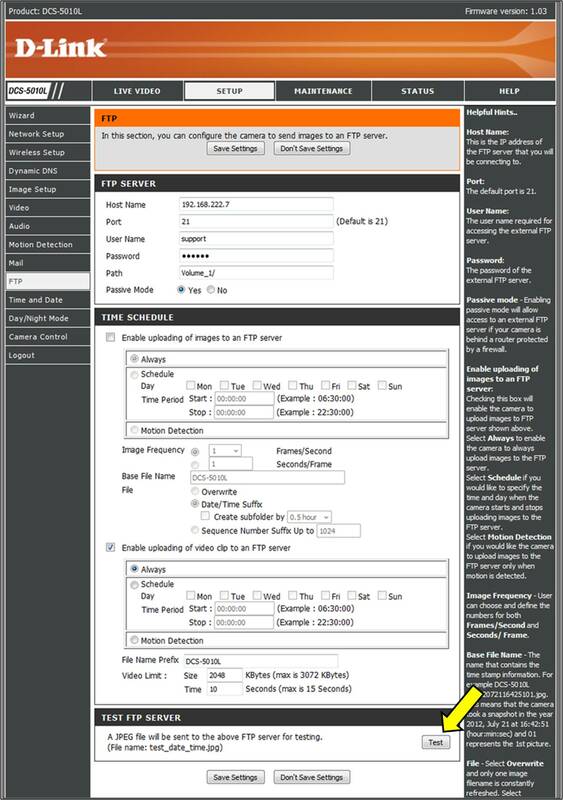 Unfortunately these models do not support ftp uploads. Sorry for the inconvenience. 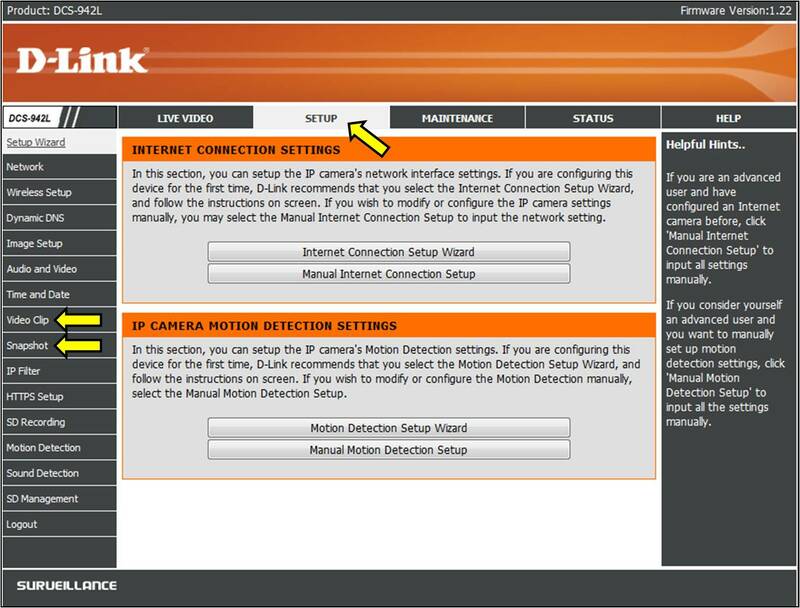 Note: In order to configure the FTP Server settings, you must log into the Web Interface of your camera. - Path - The directory that the images will be uploaded into (For example, /pub/images). 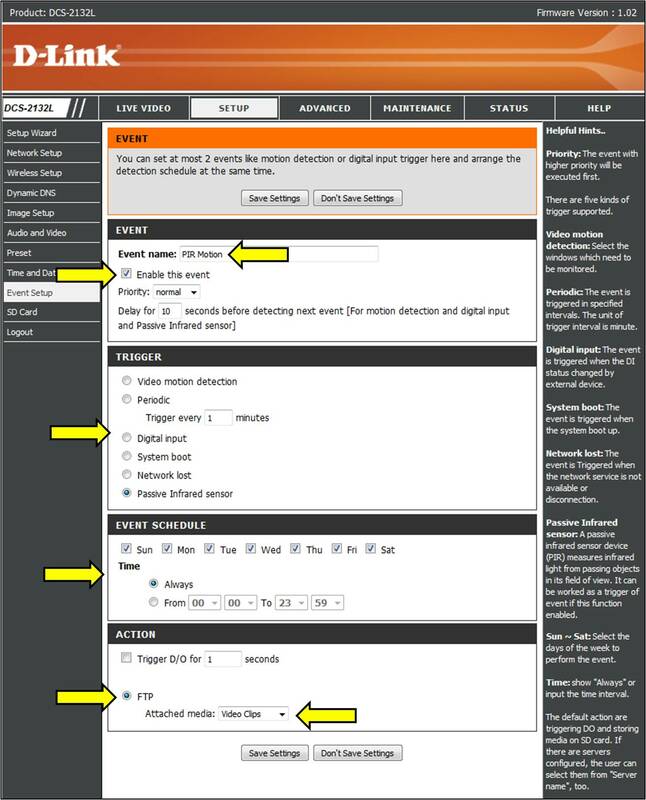 - Filename Prefix - The prefix that will be added to the front of each filename. - Interval - The time interval between each snapshot. You should receive a Successful message. If not, check your settings and try again. 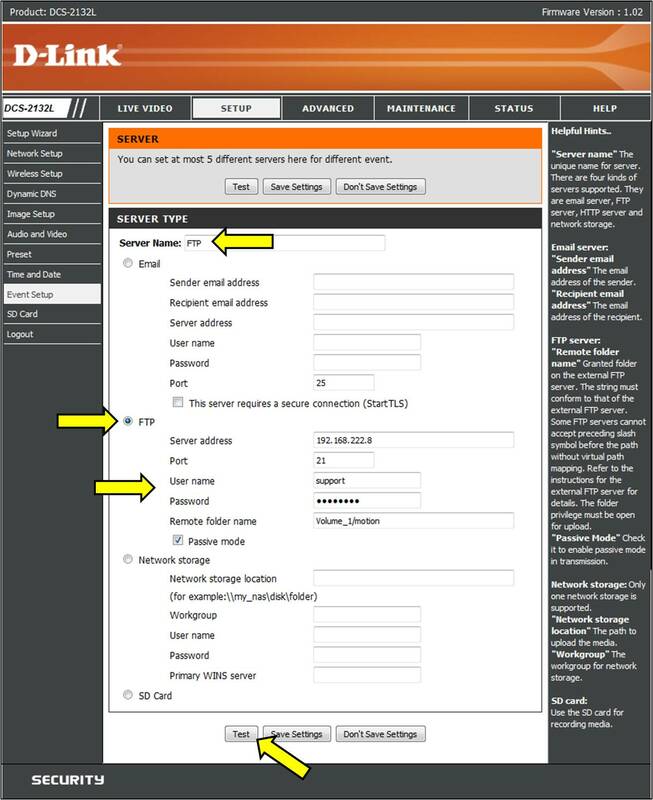 Note: If your FTP server is configured to allow all users, Select login type as "anonymous"
- Passive Mode: Check if your FTP server is using/supports Passive Mode.